CS:GO skins are one of the most stable and good investments that stemed from the gaming industry. You could call them a cryptocurrency, a virtual currency in which the “money” itself is secure and basically impossible to counterfeit. However, it is very hard to pay with skins for daily necessities. 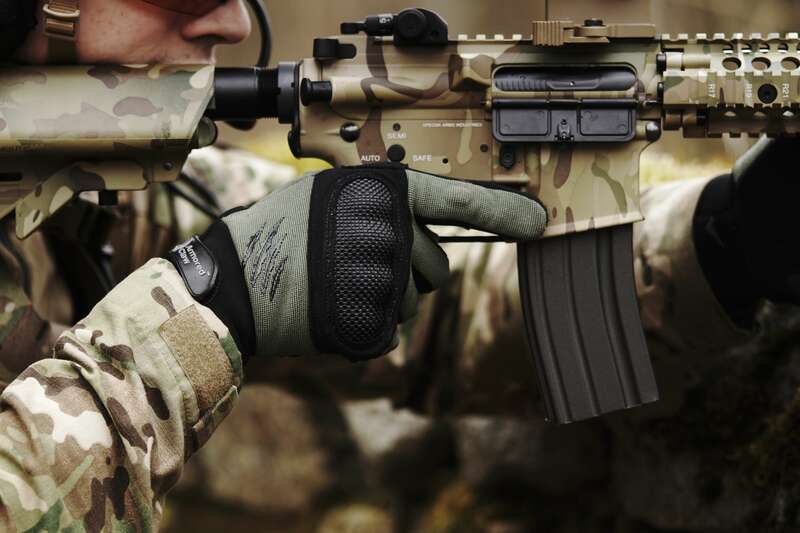 Luckily, when it comes time to monetize your skins SkinWallet got you covered. 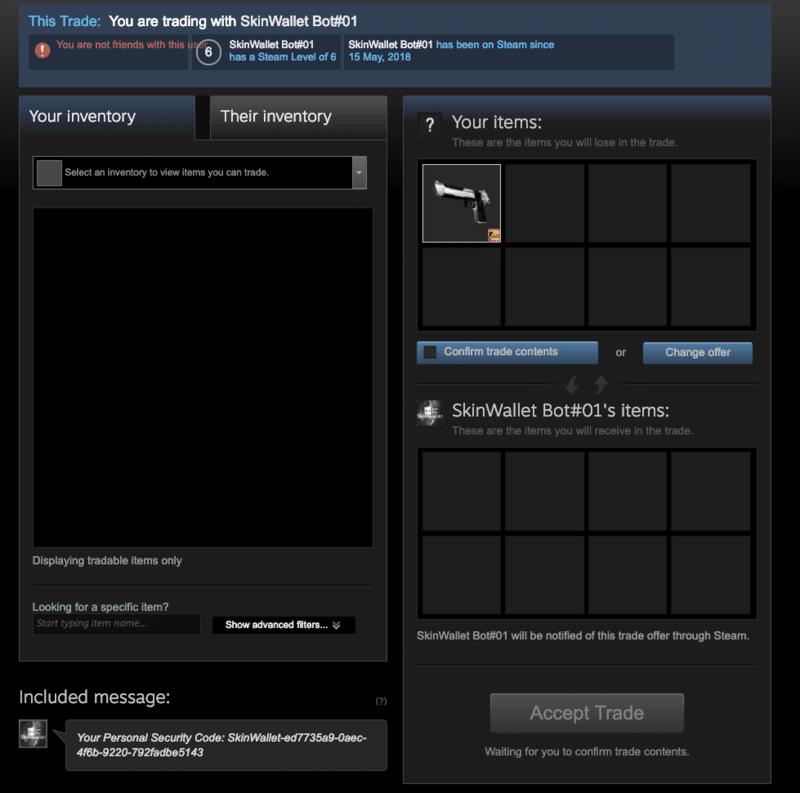 We at SkinWallet believe that selling CS:GO skins shouldn’t be difficult or time-consuming. 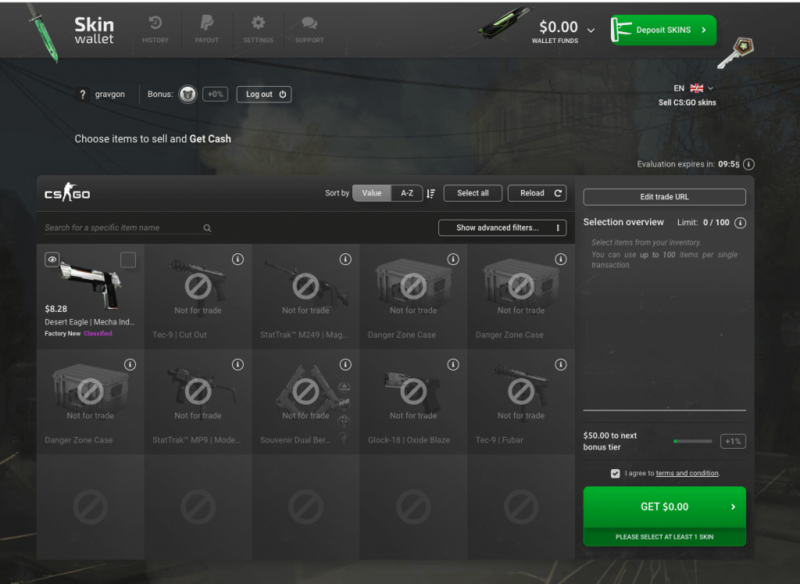 On SkinWallet, you can get instant cash in less than 3 minutes on your CSGO Skins. 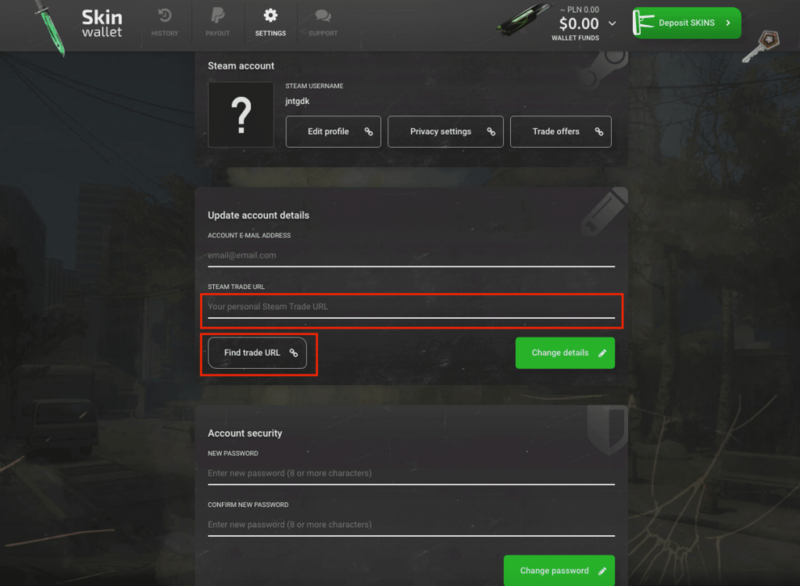 Follow the below steps on how to sell your CS:GO skins for cash and pay it out to Paypal. Before you go to SkinWallet to evaluate and sell your items and get the funds into your Paypal account, there are a couple of things you must do first on your Steam account to ensure that everything goes smoothly later. To successfully sell CS:GO skins you will need to prepare your account. Setting your inventory public is a must if you wish to sell your skins on any site. First, log in to your Steam account either in the app or in your web browser. Now, go to the Market tab under the Community category and pick your Inventory. This will obviously display your inventory. Now, click on the More button next to Trade Offers and choose Inventory Privacy Settings. This will open up a page with all the settings we need. Find the Inventory settings and set it to Public. This way SkinWallet will be able to see your inventory when doing a deposit. To be able to trade with anyone, you need to give them your valid and working Trade URL. There may be only one unique Trade URL per account active at once. Follow these next steps to generate a new Trade URL. Go back to your inventory and click on Trade Offers. Go to the Who Can Send Me Trade Offers? Option. This should open a page that sums up all the things you need, as well as some, basic ways to sell skins. As you have already set our inventory Public, you should be interested in the bottom section called Third-Party Sites. Here, in the bracket, you’ll be able to see your Trade URL. To generate a new Trade URL you just need to click on Create New URL and voila! You have a new Steam Trade URL. Your account is ready to begin depositing your skins to SkinWallet for that sweet Paypal cashout, so let’s start with that, shall we? 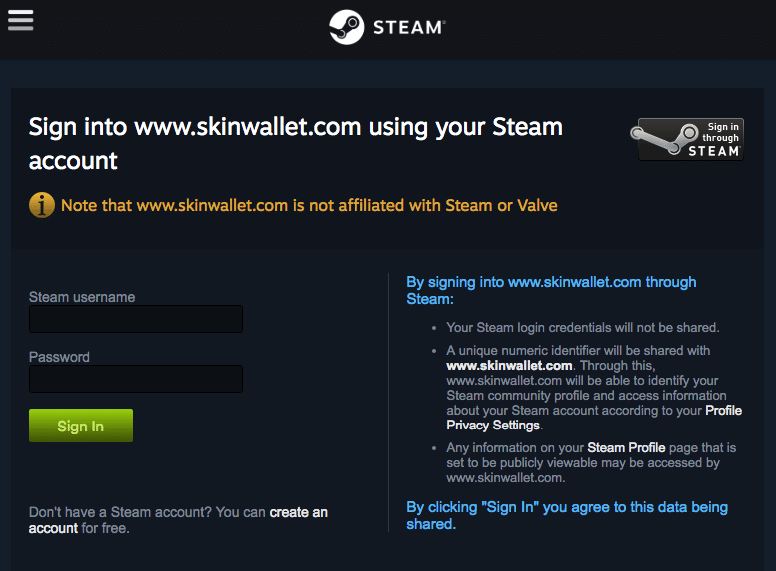 You can log in to SkinWallet via Steam account. If you were just doing step 1 and 2 through the web browser, you should be still logged in. 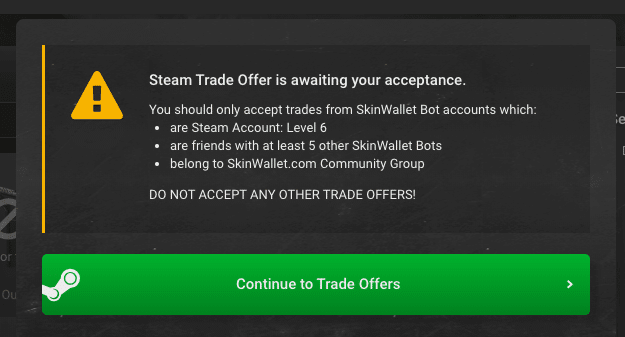 If not, you can do it either by clicking on the “Sign in through STEAM” button on the signup page or by logging in to your Steam account in your browser and then proceeding to SkinWallet and confirming that this particular Steam account is the one you want to sell the skins from. 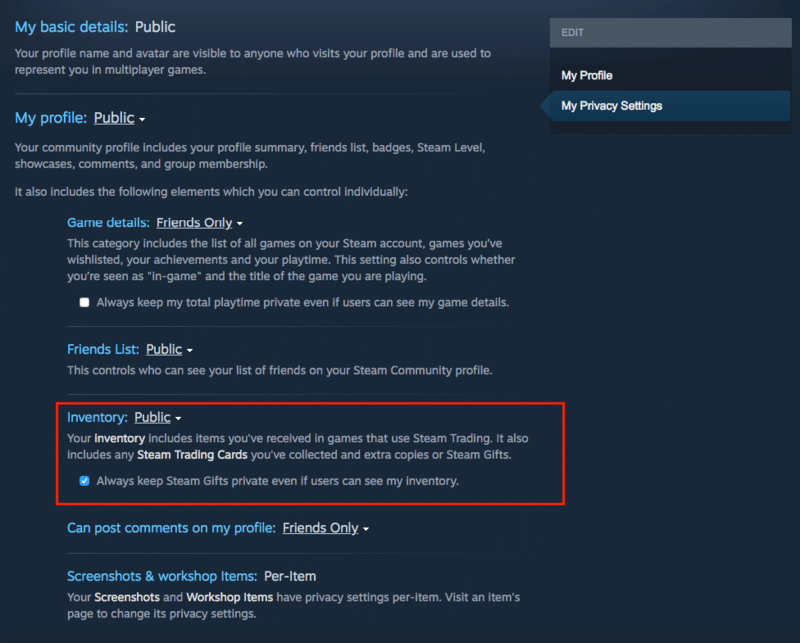 Before you start depositing CS:GO skins, please go over to settings page and past your current Steam Trade URL. Otherwise, you won’t be able to go on with your trade and our Trade Bots won’t be able to find your account to make you an offer. When you paste a valid Trade URL in, just click on the change details button to make sure you saved your changes. Now let’s go back to the deposit page. Here, you should see your Steam Inventory, with a fresh price evaluation of all items eligible for trading. Items that are on hold after a recent trade, won’t be shown. All items that do not match the pricing criteria, will be grayed out. If you have a lot of skins available for trade in your inventory you can filter them by some basic features such as weapon type, quality, and wear. To select the skins you want to trade just click on them – the items with green checkup sign are will be traded with us. To move forward with your transaction, agree to our ToS (which you can find here) and click on the green “Get” button which will also display the total value you will receive from selling these CS:GO skins. You will be shown a pop-up window with “Proceed to offer button” – a link to the transaction with our bot. Ultimately, going to the trade through that button is the safest way there is. 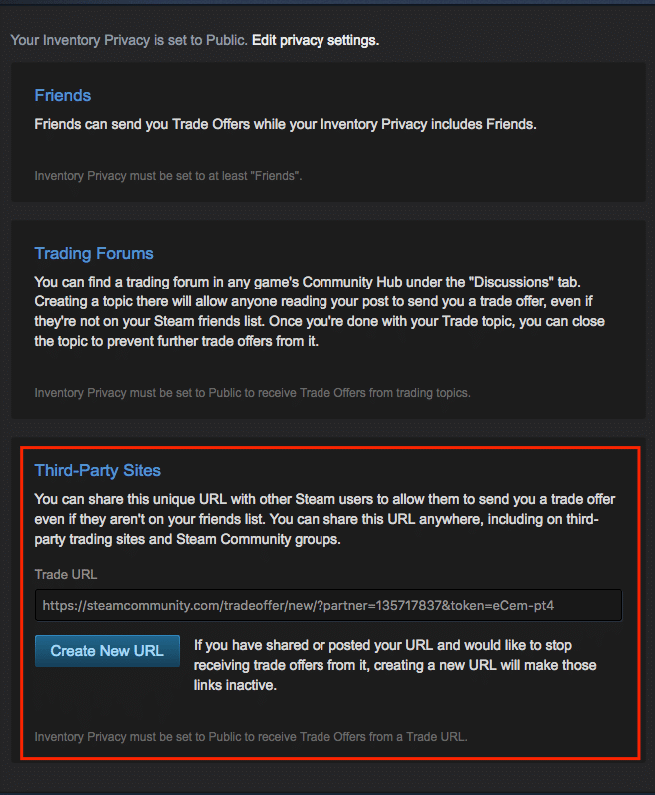 If you want to accept trade manually from the Steam Trade tab you can do that. Just remember to watch for any fraudulent, copycat bots. Whenever you’re not sure, you can check if that particular bot is legit or not with these characteristic features only our bots have. When you’re ready, accept the trade offer. Your SkinWallet balance will be updated with the newly acquired funds instantaneously. After you sell CS:GO skins for cash, it is time to payout your funds to Paypal, right? First, please make sure that you have a valid and verified Paypal account added to your SkinWallet account. You can check it and change it in your settings. To pay the funds out, go to Payout page, pick the amount you want to pay out and accept the cashout. All transactions can take up to 24 hours to process, but most transactions are instant. Now you can enjoy your newly acquired Paypal money. If you have any questions about how to sell CS:GO skins for cash, be sure to contact us through comments to this article or write to our support.